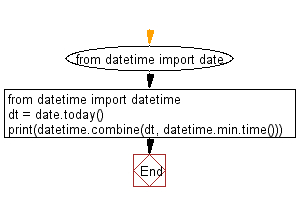 Write a Python program to convert the date to datetime (midnight of the date). Previous: Write a Python program to print yesterday, today, tomorrow. Next: Write a Python program to print next 5 days starting from today.